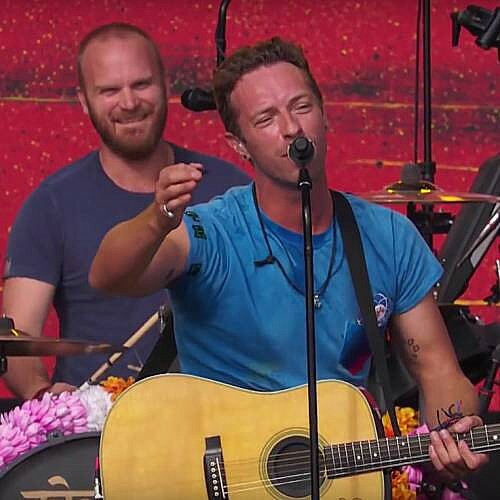 Rockers Coldplay have landed the coveted 2016 Super Bowl half-time show slot, according to multiple reports. The Viva La Vida stars are reportedly gearing up for the big gig after signing on to help America's National Football League (NFL) celebrate the sporting extravaganza's 50th anniversary at Levi's Stadium in Santa Clara, California on 7 February (16). Bruno Mars had previously emerged as an early favourite to headline the American football showdown, just two years after hitting the main stage in 2014, and although he won't be the main attraction, sources tell UsMagazine.com he will still be involved. Other "friends of the group" are also allegedly set to join frontman Chris Martin and his bandmates at the special concert, which will be broadcast live around the world. Recent reports tipped Maroon 5 and Taylor Swift as possible contenders for the huge show, but they are not expected to make appearances. Coldplay, who have yet to comment on the news, will release their new album, A Head Full of Dreams, on Friday (04Dec15). The project features a handful of collaborations with artists including Beyonce, Noel Gallagher, Avicii and Chris' ex-wife, Gwyneth Paltrow. The band previewed tracks from the new album during a church gig in Hackney, East London on Thursday (03Dec15). The concert was broadcast live on BBC Radio 1. Katy Perry headlined the Super Bowl half-time show earlier this year (15), with Lenny Kravitz and Missy Elliott as her special guests. The 12-minute set became the most-watched TV concert in history, with 121 million viewers tuning in to watch - six million more than those who checked out Bruno's Super Bowl performance in 2014. Katy previously admitted she had suffered six months of stress as she prepared for the big show as she had to negotiate every little detail to comply with the wishes of NFL bosses. "Once you decide you're gonna do the Super Bowl, you're gonna have no f**king life for six months. It is the biggest thing."